The Chicago area knows how to work it. The metropolitan area ranked 15th in the annual American Fitness Index, identifying the healthiest and fittest areas in the United States. Are you thinking about taking up running to boost your physical fitness level and get back in shape? 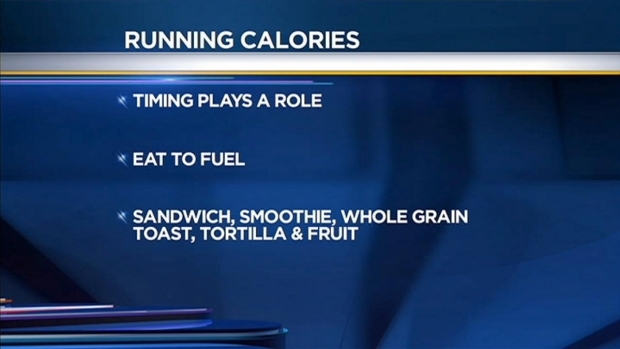 Dr. Sandy Goldberg has some excellent tips on what to eat and drink to make the most of your efforts. The American College of Sports Medicine unveiled the list Wednesday with the top five spots going to Washington D.C.; Minneapolis-St. Paul; Portland, Oregon; Denver; and San Francisco. Memphis, Tennessee, ranked last, topped by Louisville, Kentucky, at No. 49, Oklahoma City at No. 48 and Indianapolis at No. 47. The Chicago area received a score of 56.6 out of 100 possible points. Washington, D.C., scored the highest at 77.3, and Memphis scored the lowest with 24.8. NBC Fit Club member Saran Dunmore shares some fitness tips on keeping fit while traveling. Researchers, with help from the Indiana University School of Family Medicine and 26 health and physical activity experts, analyzed data from the U.S. Census, U.S. Centers for Disease Control and Prevention’s Behavioral Risk Factor Surveillance System among other data to award points and give a snapshot of the health and fitness of each area. “Health advocates and community leaders have come to expect the arrival of the American Fitness Index as an annual check-up regarding their community’s health and fitness levels,” Thompson said.